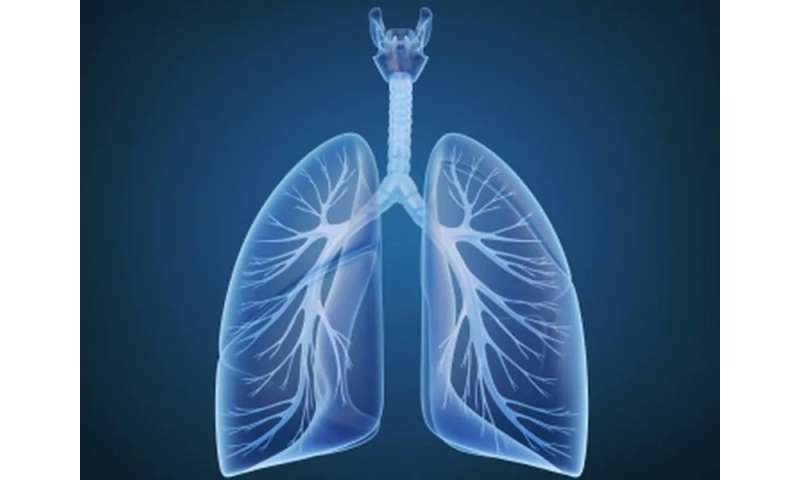 (HealthDay)—A de-escalation from triple therapy to indacaterol/glycopyrronium may lead to a small reduction in lung function in non-frequently exacerbating patients with chronic obstructive pulmonary disease (COPD) but no difference in exacerbations, according to a study published in the Aug. 1 issue of the American Journal of Respiratory and Critical Care Medicine. Kenneth R. Chapman, M.D., from the University of Toronto, and colleagues conducted a 26-week randomized trial to examine the direct change from long-term triple therapy (tiotropium, salmeterol, fluticasone propionate) to indacaterol/glycopyrronium or continuation of triple therapy in non-frequently exacerbating patients with moderate-to-severe COPD. A total of 527 and 526 patients were randomized to indacaterol/glycopyrronium and triple therapy, respectively. The researchers found that there was a reduction in trough forced expiratory volume in one second of −26 ml (95 percent confidence interval, −53 to 1 ml) with inhaled corticosteroids withdrawal, with confidence intervals exceeding the non-inferiority margin of −50 ml. Between treatments, there was no difference in the annualized rate of moderate or severe COPD exacerbations (rate ratio, 1.08; 95 percent confidence interval, 0.83 to 1.4). Lung function loss was greater and exacerbation risk higher for patients with ≥300 blood eosinophils/µl at baseline. The two groups had similar adverse events. "The higher exacerbation risk in patients with ≥300 blood eosinophils/µl suggests that these patients are likely to benefit from triple therapy," the authors write. Several authors disclosed financial ties to pharmaceutical companies, including Novartis Pharma, which funded the study.